To you, it’s just a ride-sharing app that gets you where you’re going. But to an economist, Uber is a massive repository of moment-by-moment data that is helping answer some of the field’s most elusive questions. STEPHEN J. DUBNER: Hey, Levitt! STEVEN LEVITT: Hey, Dubner! How are you? DUBNER: Good. Nice to see you in New York. LEVITT: It’s great to be in New York. DUBNER: Rare treat for me. LEVITT: Yeah, I don’t get to New York so much these days. DUBNER: How do you like New York these days? LEVITT: I love New York because it has amazing Pokémon Go stops and great creatures everywhere. DUBNER: It is your new obsession, isn’t it? LEVITT: Yeah, I love Pokémon Go. LEVITT: I like it because it’s a lot like fishing, but then you don’t actually have to kill any animals and take the hook out after you catch them. DUBNER: We’re recording on the Upper West Side, which is near where I live and work, but this was a bit of a schlep for you. You are staying in Midtown. How did you get here this morning? LEVITT: I took a taxi. DUBNER: Taxi? One of those yellow things? LEVITT: I did. I probably should have done Uber, right? DUBNER: Why did you take a taxi? LEVITT: When I’m in New York, taxis seem easier. Everywhere else in the world I take Uber, but New York is the one place where I take taxis. DUBNER: How do you as an economist or how do economists generally feel about Uber? Steve Levitt is my Freakonomics friend and co-author. He’s an economist at the University of Chicago. Why do he and his colleagues love Uber? LEVITT: Uber is, in many ways, the embodiment of what the economists would like the economy to look like, because Uber is a market in some sense that the prices you pay respond to supply and demand. When there are lots of people looking for rides and not enough drivers, they raise the price, and when there are too many drivers and not enough people, they keep the price low. So that is how economists like markets to work. But that is not the only reason Levitt loves Uber. Economists often work with elegant theories that can be devilishly hard to demonstrate in the messy real world. LEVITT: Another reason why I love Uber is that I have had a burning question about economics that I’ve wanted to answer for almost 15 years, and by using Uber data, I’ve finally been able to get to the bottom of it. Today on Freakonomics Radio: to the bottom of it we go! Uber, as you likely know, is a phenomenally successful company that lets anyone with a smartphone summon a car and driver that’ll take them just about anywhere. It was founded in 2009. It is now used by some 30 million people globally every month. In the U.S., Uber users made some 62 million trips in July alone. The company is worth an estimated $60-some billion — estimated because Uber is still privately owned, with the value accruing to various founders and funders. Is it profitable? More on that later. Is it universally beloved? No, not universally, because it’s threatening to destroy the old-school taxicab and private-car industries. But the most important thing to know about Uber, for the sake of today’s conversation, is this: the details of every ride taken by every passenger — and even the would-be rides that would-be passengers don’t take — those details are captured in a massive database, which, to an economist like Steve Levitt, is an extremely appealing notion. He thought this database might allow him to address one of the central mysteries of his professional life. LEVITT: I’ve been dreaming of the day I could answer this question and it probably says a lot about me. LEVITT: The very first class you take when you go and enroll in economics — introductory economics — typically on the very first day they put a demand curve on the board. And like every other economics student, when I showed up my freshman year in school and saw that demand curve, I just accepted it. I said, “Well, they put it on the board; it must be real.” And I never questioned anything about demand curves. I always just thought of demand curves as something that exists, like buildings or trees. They have a sort of a physicality to them. But then when I went to write my own textbook with Austan Goolsbee and Chad Syverson — now this is before Freakonomics, so maybe 13-15 years ago — I actually had to sit down and write about demand curves. And I thought for the first time, “what really is a demand curve?” And I thought to really bring it to life, I think I have to find one, I have to show one to the students. And I looked around, and I realized that nobody ever had really actually estimated a demand curve. Obviously, we know what they are. We know how to put them on a board, but I literally could not find a good example where we could put it in a box in our textbook to say, “This is what a demand curve really looks like in the real world,” because someone went out and found it. DUBNER: So you’re saying that the demand curve as it exists in economics and economic literature is kind of a fiction or an invention of economists to explain the rest of the transactions around it? LEVITT: Exactly. It’s an artificial construct, which turns out to be incredibly valuable for organizing the world and knowing how to analyze problems. And in that sense, who really needs to see one or to find one? But I’m a very tangible person, and I thought, if I could really have an example of a demand curve maybe I could push up the learning of the students. It took me, I don’t know, 15 years between when I took the beginning economics to when I wrote the textbook to actually think hard enough about demand curves to really understand them. I thought if I could show someone a real demand curve, I might help the students learn about it much faster. DUBNER: So what did you do in the case of that textbook? LEVITT: In the case of that textbook, we left empty the box where you would — there’s an empty box that says “to be determined” as soon as someone estimates the demand curve. LEVITT: We didn’t literally do that but we looked and looked and in the end we didn’t really have a very good example. DUBNER: All right, no offense, but to you and your entirely fraternity of economists, it does make us wonder how valuable and legitimate any conclusions are about any transactions if we know that you’re faking the demand curve. LEVITT: Yeah, so we aren’t faking it. I think that’s the wrong way to think about it. What I’d really say is that we completely and totally understand what a demand curve is, but we’ve never seen one. I don’t know if it’s fair to make physics comparisons, but you can imagine something like in the old days when the models had figured out something about protons and electrons, but we hadn’t actually figured out how to literally see an electron. And we knew it had to be there from the theory and then it was just a matter of making the colliders go fast enough or whatever it takes to see an electron, and then it was confirmed that they were there. So, in economics, it’s even easier because it’s not that we have to wonder whether demand curves exist or not, because we know they exist because we define them and they’re there. But I wanted to touch one; I wanted to hold a demand curve, and I had never had a chance to do that until I took Uber and it suddenly occurred to me that here was a chance to hold a demand curve in my own hand. DUBNER: Talk to us for a minute about the inherent potential conflict of when a private firm works with or enlists academic researchers to use their own data to write a study. You can’t blame people for maybe being skeptical that the ultimate conclusion will flatter the firm either because an unflattering conclusion might not be released or because the data the firm gives the researchers will be selectively chosen to ensure a flattering portrait. So talk to us about how kosher this is. LEVITT: Yeah, so I think in this particular case, it is extremely kosher, although your worries are not misplaced, generally. So I actually went to Uber, I approached Uber, and I tried to pitch them on this project. And they actually said “no” for about a year. And one of the reasons they said “no” is because I had a very clear condition for doing the research is that whatever the results were, I had the right to publish it. And you can understand why a firm like Uber would be nervous about giving that power to an outsider, but I categorically refuse to do it any other way. Uber ultimately did give Levitt their data— 54 million user sessions from four cities: Chicago, San Francisco, Los Angeles, and New York, from the first half of 2015. The result is a new working paper just released by Levitt and four co-authors, including two economists who work at Uber. You’ll recall that the white whale Levitt wanted to chase with the Uber data was a real-life demand curve. There were two reasons for this. LEVITT: One is that once you know the demand curve, it tells the people who are producing — the suppliers — it tells them what the right price is for them to charge. And that’s how people usually think about demand curves and why they’re important. But for those of us who aren’t suppliers – for those of us who are just consumers – there’s another reason to be excited about the demand curve. LEVITT: If you know the demand curve, then you know how much consumer surplus there is. LEVITT: It’s the extra happiness/utility/joy/willingness-to-pay that a consumer derives from being able to purchase a good at a given price. Economists have been talking about consumer surplus for a couple centuries. As in Jules Dupuit, a 19th-century economist and hydraulic engineer, who helped build the sewer system of Paris. LEVITT: Honestly, I’ve never heard of him until I’ve started trying to figure out who invented the concept of consumer surplus. Back in the 1840s, he came up with the idea. So when you’re a consumer and you go to buy something, you have to pay a certain price. Let’s talk about apples. Okay, let’s. Let’s say you go to the grocery store or the farmer’s market to buy some apples. You happen to want four apples, and you’d be willing to pay $1 each. Four dollars total. But the apples only cost 50 cents each. So the four apples cost you $2 instead of $4. The $2 that you saved from what you would have been willing to pay? That is consumer surplus. LEVITT: And consumer surplus is one of the most important things in economics. One of the incredible beauties of the market system is that for so much of what we buy, we would have been willing to pay way more for it than we actually have to. A great example is water. How much do we pay for water each month? I don’t know what your water bill is. Mine is maybe $40. But think about how much we’d be willing to pay for water. Water is — I mean we’d be willing to pay almost anything for water, but it’s really, really cheap. So in that way, the modern economy has arranged things so that we get things we need — like water and food — much more cheaply than we’d be willing to pay. And that is really important. That is really the magic of the market. DUBNER: To me what sounds like the problem is how do you measure that? Because I need to know what you in your head were willing to pay before you came to the store and then were confronted with the actual price. So how typically have economists measured those two numbers — what you pay and what you’re willing to pay? LEVITT: So, Dubner, you have never been more right about anything in your life than what you just said because we simply have no good ways to measure consumer surplus. Because we know what people pay, we can sometimes see that, observe how much they buy. But we never see what’s inside their head, what their choice, what they would be willing to pay. If we’re really going to estimate a consumer surplus, what you would want to do is you would want to take a consumer and somehow magically you’d want to reproduce that consumer in 10 parallel universes. Meaning: you’d put the same person in 10 different universes with different prices for the same good. So in Universe 1, apples would cost $1 apiece. In Universe 2, $2, and so on. At some point, you would find the universe where that consumer refuses to buy the apple. Maybe the universe where it costs $8. LEVITT: And you would use that fact to say, well, the apple was worth something like say $7.50 and so the difference between what they paid and $7.50 — that would be the consumer surplus. DUBNER: But I would assume that consumer surplus even on the same good with the same person is dynamic only because demand is dynamic, right? I might really want four apples today and tomorrow I’m sick of apples. How do you factor that in when you try to measure overall consumer surplus? LEVITT: Basically, Dubner, you’re on fire today. You’re asking all the right questions. What’s gotten into you? No, it’s exactly right. So for a given person, how much they value an apple will be different today, tomorrow, how hungry they are, whether they have a pile of apples at home. And so, in essence, you’d want to do this miracle, parallel-universe experiment over and over and over and kind of add it up over consumers and over time. All of this, of course, is too difficult to do. And that’s why in the last 250 years we haven’t really had any good estimates of consumer surplus. DUBNER: How does Uber and the way that the business is run allow you to do that in a way that, let’s say, asking people going to grocery stores to buy apples wouldn’t? LEVITT: So there are two perfect things about Uber that allow an economist to measure consumer surplus. The first is that they have surge pricing. So anyone who’s taken Uber understands that sometimes when you open up the app, you see that Uber is much more expensive than other times. And that happens when there is too much demand and not enough supply of drivers. If you’ve never used Uber, here’s what you need to know: When you open the app to summon a car, it’ll show you in big bold numbers whether surge pricing is in effect. That is, whether Uber is charging more than the regular fare because of a demand spike. You might see 1.2x, which means the price will be 20 percent higher. If there’s a huge spike in demand — maybe a rainy Saturday night — you might see 3x or even higher, meaning the ride will cost you three times or more the standard fare for that ride. So the Uber data that Levitt got hold of reflected all that. But one more thing too: it also showed when someone opened the app and saw the surge pricing and then didn’t make the purchase. LEVITT: And so why is that important? Because the key to estimating a demand curve is having the same consumer or similar consumers face very different prices. And so what our strategy boils down to, in the end, is we try to find similar consumers and one of them opens the app and indeed sees the regular price — surge equals one — and another one, another consumer, who otherwise is essentially identical to that first consumer, they open the app and the surge is, say, two times. So the price of a trip is twice as expensive for one person as the other. And we then compute how often does someone actually take the trip and pay for the trip when they see the regular price versus when they see a price which is at two-times surge. So that’s a lot like the thought experiment we did before with the apples and parallel universes. Keith Chen is head of economic research at Uber, and a professor of economics at UCLA’s Anderson School of Management. Levitt and I once wrote about a research project Chen did with a bunch of capuchin monkeys, where he taught them how to use money. One result was that it led to monkey prostitution. That’s a whole other story. LEVITT: So Keith has built an algorithm that basically tells him exactly what he thinks the right surge price would be. But to keep things simple for customers, they only have regular price — surge equal to one — and then sometimes they will be 1.2 or 1.3 or 1.4. But they always do rounding. So if they predict that you’re like 1.2501, then they show you 1.3. If they predict that it’s a 1.24999, they show you 1.2. So literally consumers who are almost identical. DUBNER: So you and I could be standing on the same street corner calling two Ubers to go to the same place and you might get 1.3 surge price and I might get 1.2? LEVITT: So that wouldn’t actually happen because it’s not literally done like you and I standing next to each other. But it might be that you and I are 30 minutes apart and things have changed just the tiniest bit and that leads to a big jump in the prices. And that discontinuity is the kind of thing, a natural experiment, the kind of thing that economists, especially economists like me, look for all the time. Because it’s two people who are essentially identical, but are shown very different prices almost by chance because of the business rule that Uber uses because they don’t want to show people complicated in-between prices. DUBNER: The only reason that doesn’t make sense is that when you’re talking about the randomness, it sounds like the random choice is between, let’s say, 1.3 and 1.2, which is not a big difference. It’s not a difference between 3x and 1x. So how does that small rounding up or rounding down help accomplish the bigger goal? LEVITT: Dubner, that’s another amazing question. You had your economics Wheaties this morning. You’re exactly right. So what we do is we use a series of little discontinuities; so between 1.2 and 1.3 and 1.3 and 1.4 and 2.4 and 2.5. We use a series of little, tiny breaks. They’re small relative to going from 1 to 5, but each of them, we have so much data. We have so many millions of observations that at each of those separate discontinuities, we can estimate the sensitivity of consumers to changes in price. And what we do is we actually build up, little by little by little — little steps, tiny .1 steps — the entire demand curve up from price equals 1 to price equals 5 times as high. LEVITT: Exactly, so regression discontinuity is really a way of finding discrete jumps or breaks or changes that otherwise similar people are exposed to different things. And so in our case, we have something like 25 of these little discontinuities and when you cobble together all of those 25 little natural experiments, what you have at the end is maybe the best representation of a demand curve that anyone’s ever had in the real world. DUBNER: Levitt, talk for just a second about surge pricing generally as an economic concept. So let’s say there’s a big storm forecast and a hardware stores triples the price of flashlights and batteries, which in a lot of places is not allowed. There are, what are called, anti-gouging laws and people get really upset about that. But how does that kind of price spike look to an economist and not someone who’s just wanting to buy a flashlight? LEVITT: So economists don’t mind those kind of price spikes at all. Because what actually happens when a hurricane is coming is the hardware stores run out of batteries and flashlights, because they’re not allowed to raise prices, there is a run on the stores, people buy lots of flashlights and batteries, and then there are none left. And that, to an economist, is a failure, because what markets are supposed to do is to use prices to allocate things like flashlights and batteries to the people who are willing to pay the most for the flashlights and batteries. So what happens in disaster situations, where there is a limited supply and no real way to get extra flashlights and batteries is that I go to the store and I buy way more flashlights and way more batteries than I really want or need just to be on a safe side. But then you, Dubner, you show up an hour later and they’re all gone. And you really need that first flashlight and you really need the batteries and they aren’t there for you. So that’s a breakdown of markets. The other reason that you want prices to rise when there is lots of demand, let’s say a hurricane is coming. And it’s conceivable, that you and I, Dubner, as entrepreneurs and knowing that hurricane is coming, could start in New York, fill up our car with flashlights and batteries and we would drive to New Orleans with the hope that we could sell our flashlights and our batteries at a higher price. That’s great because the flashlights and the batteries are worth a lot more in New Orleans right before the hurricane than they are in New York. And if we were willing to take that trouble, it would be great for the people of New Orleans, even though they’d have to pay a higher price. But if you don’t let the price rise — well, we’re not going to do that. And so really the price rising, just like higher prices make more Uber drivers stay on the road or get on the road, in general, when there is a lot of demand for something, it’s great to let the price rise because that stimulates supply and makes everybody better off. 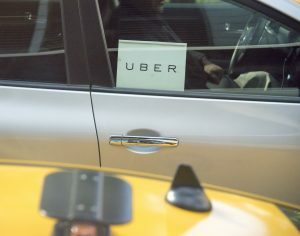 Steve Levitt and some colleagues used a massive database from the ride-sharing company Uber to try to measure what economists call “consumer surplus” — basically, how much utility you get from something minus what you actually paid to get it. DUBNER: So I’m curious to know a) what you were expecting to find in terms of consumer surplus and then b) what you did find? DUBNER: So this is not the fanciest cars and it’s not the pool. DUBNER: And Uber X is about 80 percent of the rides you looked at? LEVITT: Yep, that’s exactly right. So we found that in 2015, if you extrapolate to the whole U.S., we found that the overall consumer surplus added up to almost $7 billion. So people spent about $4 billion on Ubers, but they actually would have been willing to spend about $11 billion. So for every dollar people spent on Uber, they got about $1.50 worth of extra joy that they would have been willing to pay on average above and beyond what they did pay. And to put it in a context just how big this consumer surplus is, the total amount of money that went to what Uber calls the driver partners, the people who are driving the cars, was something like $2.5 billion. So the consumers got more than twice the benefit of all the money that went to the drivers. And Uber itself only got to keep about $1 billion. So if you look at the amount that Uber, the company, kept relative to the amount that the consumers got to keep, the consumers got to keep six times as much. Now, to be clear, that consumer surplus is spread out over many more consumers than there are Uber stakeholders — or, for that matter, drivers. But Levitt’s finding would seem to provide ammunition for Uber itself and others who want to promote ride-sharing and other resource-sharing services, like Airbnb. DUBNER: So if I’m Uber, I have your study in hand, and I say, “Hey, Steve Levitt says we’re creating $7 billion in consumer surplus in the U.S. alone in one year.” That would seem to be the hammer with which I could smash all government resistance to Uber. So how do you think about this piece of research and research like this affecting policy? LEVITT: So I don’t know if it’s the hammer that changes everything, but for me, I think it should change the discussion. To date, the discussion about Uber has almost always revolved around the idea that there are people who are hurt by Uber. And those would be, in particular, the taxicab medallion owners. They’re clearly hurt by Uber because they own an asset. They own a monopoly right to control how many cars on the street are allowed to drive people around. DUBNER: And what’s the magnitude of their loss to date? Do you know roughly? LEVITT: So we don’t have great estimates of that, but it might be on the order of $1 billion or something like that. DUBNER: Let’s say I own a medallion in New York or Boston or whatever. Do you think it’s worth 20, 30, 40 percent less now than it was pre-Uber? LEVITT: It turns out they don’t change hands very much, so it’s hard to know for sure. But my guess based somewhat on research, somewhat on intuition, is that the value of the medallions have fallen more than half in a place like New York. Essentially, monopolies are very powerful and the cities had created monopolies through regulation and when that monopoly gets broken, the loss of future profits is really, really quite large. But many people have looked at the drivers, the taxi cab drivers, and felt that they were losing a lot. But in actuality, I think that’s probably not true. One of my economist friends Judd Cramer has written a paper, and using pretty simple economics, his conclusion is that the taxi cab drivers really haven’t been helped or hurt very much, which makes a lot of sense because essentially, there’s always been free entry to be a taxi cab driver. And with Uber, now there is another option for a taxicab driver. That if they have their own car or want to rent a car, they can drive Uber. But the people who, without a doubt, are being absolutely crushed by Uber are the people who own the taxicab medallions. And there is just no way to get around that. They are the losers and that is the nature of a market economy is that when a new technology comes in that turns out to be a lot better for matching customers to vehicles to drive them around and that breaks the monopoly, that those people will lose and they will lose badly. And of course they will be very loud. Nobody likes to be the one who loses, but I think in this case, it’s really inevitable. It’s very hard to see any other future path other than medallions not being worth very much. HALL: Uber has not replaced taxi drivers. HALL: I’m the head of economic research for public policy and legal at Uber. He’s also one of Levitt’s co-authors on the Uber paper. HALL: So we compete vigorously for riders and for drivers. One perk Uber likes to offer is flex-time. HALL: For example, the median Uber driver, driver partner, drives 10 hours a week. So it’s not a full-time position. In New York City, the median driver drives significantly more than that. And one of the reasons for that is that there’s a substantial requirement on insurance that requires that the car that the driver has be insured all the time. And the result of that is there’s a strong economic incentive for drivers to drive a lot because they don’t want to pay for a full-time insurance policy and then only drive part time. They’ll end up losing money. So we’re encouraging policies that mandate things like insurance during the time when a driver is driving but do not restrict part-time drivers from joining the platform. LEVITT: Uber embodies what economists believe should happen with the labor market, because one of the real problems with jobs in places like the U.S. is that they tend to be full-time or part-time. And you have to be there for 40 hours; you have to be there from 9 to 5; you have to be there three days a week or five days a week. And a beauty of Uber from a worker’s perspective is when you feel like working you work and when you don’t want to work anymore, then you stop working. And that kind of freedom to pick your hours is something that is almost completely missing in the modern labor market but seems like a really attractive feature. However, Uber is also working toward eliminating drivers completely. Like just about every other automotive or transportation company on earth, it is moving as fast it can toward autonomous vehicles. Just last month, Uber started offering rides in Pittsburgh in Volvos that drive themselves. Jonathan Hall imagines wide-ranging consequences. HALL: The first is that the cost of getting from point a to point b will be much lower. Without paying somebody to drive the car, the cost of the ride will be lower. And so people will be encouraged to, rather than own their own cars, use services like Uber to get around. I think the more exciting opportunity than just that is that it will unlock a large number of people from, instead of driving in circles, doing other more productive things. What kind of productive things? HALL: I can’t see the future, but we have exciting pilot programs that we’ve done. For example, UberFlu, which we’ve done a few times, where people in Ubers are dropped off to deliver flu shots. So I think that you’ll see that lots of services that are not currently delivered in home will start to be delivered in home because of the low cost of delivering them. So that might sound appealing from Uber’s perspective, and maybe yours too. But replacing all those human drivers with autonomous cars – well, that is part of a much larger and thornier conversation about technology and jobs, a conversation we’ve been having pretty regularly on Freakonomics Radio. For just a couple examples, you can check out an episode called “How Safe Is Your Job?” or the one called “The Future (Probably) Isn’t as Scary as You Think.” We also made an episode called “Regulate This!,” about how companies like Uber and Airbnb are fighting government regulators. The other tricky part about predicting the future — like, whether UberFlu would even be viable — is that, well, it’s hard to predict something like consumer demand. Remember, economists haven’t even been very good at measuring the existing demand curve. That’s what got Steve Levitt excited about the Uber data in the first place. And it worked. DUBNER: So sounds like you found the unicorn, or climbed Mount Olympus, whatever. You found in the natural world the perfect demand curve. Yes? LEVITT: I wish that that were really true. We have estimated really, really well a demand curve. So the only sad part about this — because I’m so excited to have estimated a demand curve — is that it’s actually not the demand curve I wanted to estimate at all. It’s the only one I could estimate but not the one I really wanted. So for public policy, like in deciding how to regulate Uber, for instance, the demand curve you’d love to have is what we call a long-term demand curve. So we want to know how consumers would respond over the course of say, six months or a year, to changes in pricing of Uber. And that would give them time to respond and make other kinds of accommodations if Uber either got more expensive or less expensive. The actual demand curve we estimate is really almost like, you call it, an instantaneous demand curve. I open the app. I either buy it or not. DUBNER: Talk for a minute how surge pricing with Uber affects demand. How much does it fall, if at all, between 1.2 times normal and 1.5 times normal. What’s the shape of that decline? LEVITT: So the elasticity of demand that we estimate overall turns out to be a number, which is like a -0.6 or -0.7. So what does that mean? That means that when the price of Uber say, doubles, it means that the demand for Uber only falls by about 40 percent. So that is what an economist calls inelastic demand. An inelastic demand is a sign that people are not very sensitive to price. DUBNER: That would suggest to me — again, not being an economist — that what you’re trying to use price hikes for is to create an equilibrium, right? To have supply meet demand in the right place where you want it to be. So that sounds like you’re not getting there; Uber is not getting there. Does that imply that surge pricing is just not going high enough to create the equilibrium? And if so, is that just out of public relations that it doesn’t go higher? LEVITT: So that’s again another really good question. So it would be easier for Uber if supply and demand were really responsive, because then they would hardly have to change prices and everything would equilibrate. So the reason we see such big swings sometimes in surge pricing is exactly because the drivers and the users are actually not very sensitive to price. And so it’s not that they can’t get to equilibrium, it’s just that to get to equilibrium, there have to be wilder swings in prices that would otherwise be the case. But I think that the belief is that they actually do get to equilibrium.And I think Uber would love it if they could get to equilibrium by charging 1.2 surge instead of 3.5 surge. But it’s just a fact of life that when people aren’t that responsive, you need really big changes in price to get the job done. DUBNER: All of which points to the fact that there is a huge amount of consumer surplus being created, right? I mean, that’s the real story. LEVITT: That’s exactly right. When people are willing to pay a lot more, it means they’re getting a lot of benefit and that’s exactly what you see. But there’s one wrinkle to think about with the consumer surplus enjoyed by Uber customers. The company’s CFO recently told investors that Uber lost more than $1.2 billion over the first half of this year. Most of that came from subsidies the company pays its drivers. How long can something like that go on? Well, as we said earlier, with a valuation north of $60 billion, probably quite a while – but not forever. Which means Uber may well have to raise prices enough to cover that shortfall, which would probably begin to chip away at the massive consumer surplus that Steve Levitt and his colleagues found. Which means we may all have to get our consumer surplus elsewhere – from apples, or cheap water, or, in Levitt’s case, Pokémon Go. LEVITT: So there can be no doubt that the consumer surplus created by Pokémon Go is absolutely enormous. I mean, when so many people are doing something and doing it with such fervor, you know that there’s a lot of consumer surplus. So the way an economist might think about it is, well, they could have been working and making their hourly wage. Instead they’re doing something they like. Another way you would measure consumer surplus of Pokémon Go is that people do really stupid things when they’re doing Pokémon Go, right? They fall off cliffs and they run into posts and stuff like that. And you could imagine looking at how much people would pay to avoid risk and then see exactly how much extra risk people take and that’s another way of thinking about consumer surplus. Freakonomics Radio is produced by WNYC Studios and Dubner Productions. Today’s episode was produced by Harry Huggins. The rest of our staff includes Arwa Gunja, Jay Cowit, Merritt Jacob, Christopher Werth, Greg Rosalsky, Caitlin Pierce, Alison Hockenberry and Emma Morgenstern. If you want more Freakonomics Radio, you can also find us on Twitter and Facebook and don’t forget to subscribe to this podcast on iTunes or wherever else you get your free, weekly podcasts.